Canola Oil: In addition to omega 6's, canola oil contains a beneficial amount of omega 3 fatty acids. It has a relatively high smoke point of 375 degrees F which makes it ideal for multiple cooking methods including frying, sauteing and baking. *NOTE: The Smoke Point is the temperature at which oil begins to break down letting off smoke fumes and an odor. 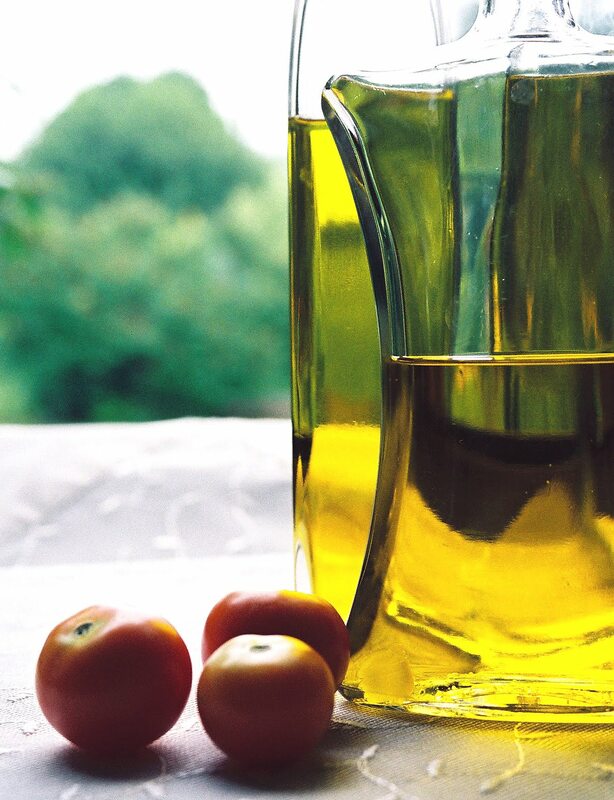 Vegetable oils generally have higher smoke points than other oils. Hemp Oil: Besides a proportionate amount of omega 3 and omega 6 fatty acids, hemp oil contains Gamma-Linoleic acid which aids in skin health. It has a smoke point of 330 degrees F and is more ideal for low to medium heat cooking and pouring over salads and using in marinades. Walnut Oil: High in antioxidants with a smoke point of 350 degrees F suitable for medium heat cooking. Flaxseed Oil: High in omega 3's and not suitable for cooking. Can be using in health shakes, marinades, salad dressings, baking. Coconut Oil: This oil is unique in that it contains capric acid and lauric acid only found in breast milk. Both substances have anti-viral and anti-microbial properties. Coconut oil has a smoke point of 280 degrees F and is suitable for medium-heat cooking. It can also replace butter or margarine in cooking. Avocado Oil: Not only is this oil a good monounsaturated fat source which helps reduce heart disease, cancer and diabetes, but it has one of the highest smokepoints of all oils at 550 degrees F. Therefore it can be used for high heat cooking and frying. Choose the oil which suits your cooking needs best, but remember that you have options, so explore them all. Good to read about this.I think the oil is chosen according to the type f the cuisine.Whatever be the type the quantity should be measured. I heard that coconut oil is the best for cooking, because it doesn't contain cholesterol and doesn't turn to trans fat acid while heated.